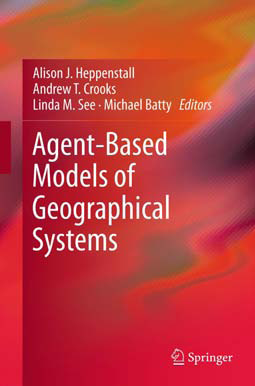 Mike Batty and myself have recently attended a summer school entitled 'Agent Based Models for Spatial Systems in Social Sciences Economic Science with Heterogeneous Interacting' or ABM–S4–ESHIA for short. This summer school was organized by both by the European GDR S4 (Spatial Simulation for the Social Sciences), and the ESHIA (Society for Economic Science with Heterogeneous Interacting Agents ). Full details about the talks including .pdfs can be found here. 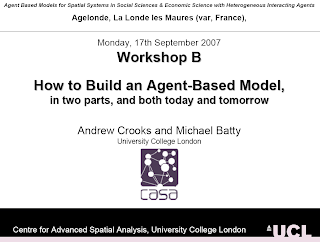 While at the summer school Mike and myself gave a workshop entitled 'How to Build an Agent-Based Model'. I thought it would be useful to share this workshop/.pdfs to a wider audience. The workshop was organised into three parts/talks. Verification and Calibration." 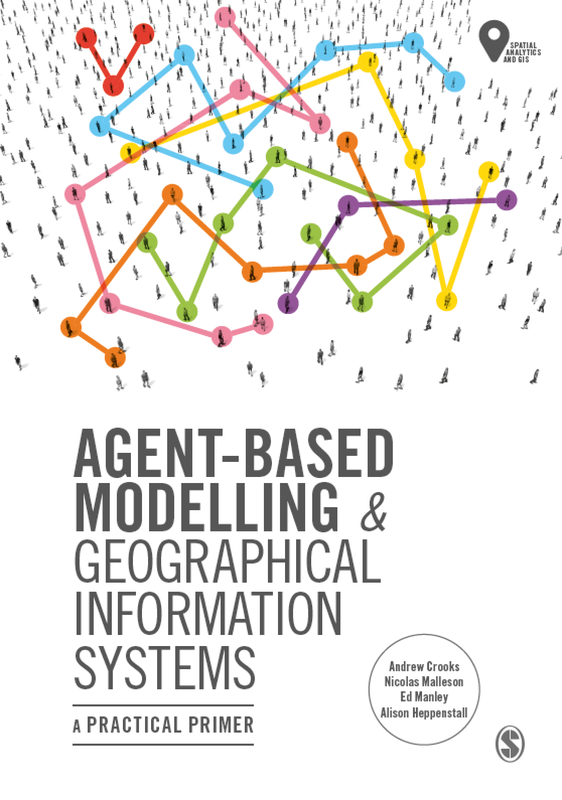 Within this talk Mike discussed what should be considered when building an agent-based model. 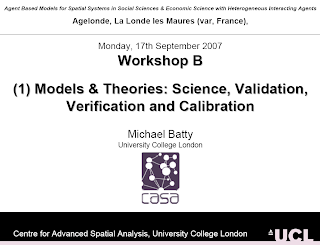 Specifically outlining what are models, types of models and how models can be based on 'Stylized Facts'. Before focusing on how to develop models using a software environment. This lead to second talk presented by myself on how a geospatial agent-based model can be developed using such a software environment. In this case using Repast. 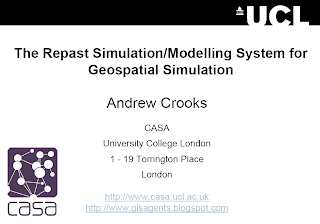 Within this talk, there was a discussion of what Repast is, examples of models created in Repast specifically those utilising Raster and Vector data sets and what the difference between the two are. The third talk was given by Mike which focused on Cellular Automata (CA). Within this talk there was a discussion on CA applications, specifically focusing on urban growth and land cover (LUCC) etc. 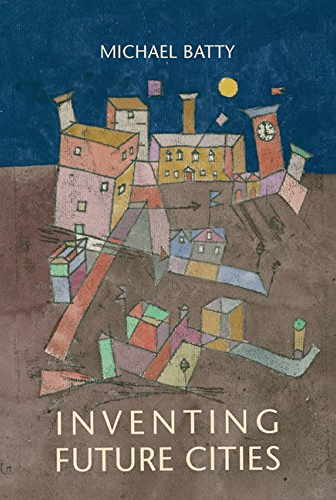 This was followed by how one represents space and dynamics within models, the key elements of CA models and a list of groups actively researching urban phenomena utilizing CA models. 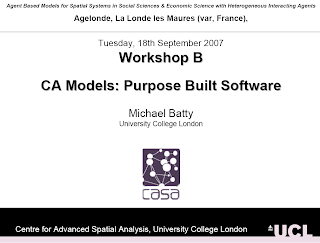 To give an example of a CA model the DUEM model (Dynamic Urban Evolutionary Model) was given. Hopefully in the future we will have time to develop this material in the future but for now you can download any of the talks as .pdf by clicking on the number one, two and three.